17 months old. As the days fly by she is truly developing into a very independent and beautiful little toddler. She is learning so many new skills but I am also learning new ways to help nurture and allow her to explore her new surroundings. As much as I hate the fact that she is growing up it's also so wonderful seeing her explore her world and to some extent laugh at all the mischief she gets herself into. We have been crazy busy this month so we haven't had the time to weigh you, which is a shame. All I know it that my upper arms are increasing as you grow. I did manage to measure her and she is still 33 inches. She has become quite the fidget bum though, even though you're wearing pull ups nappy changes are awful! 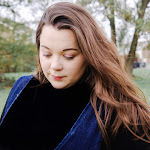 Seeing as we are preparing for the winter it make complete sense to go shopping for winter clothes and we came across the Sainsburys sale and managed to bag a few bargains, two new winter coats for under £16. However, winter boots were not so easy to come across because most shops only get one in your size and they go straight away, but we did come across a cute suede pair online. But I want to get them in all colours. She has become a fussy eater and that is something that I am not use to as normally she is so great with food. Mealtimes have been thrown up into the air with her fussiness but she is still quite happy to walk around eating a snack or eating cheerios out of her snack pot. As she is becoming so much more independent she will insist on feeding herself and she is doing so well with your knife and fork. However, if she does struggle she will resort to using her hands. Normally she is such a good girl when we go out to eat but it has become more of a challenge because she is a nosy toddler and she hates being in a high chair. She is a normal toddler who loves to get up to mischief and to push boundaries especially if someone tells you no normally resorting to a temper tantrum. These temper tantrums are taking some time to get use to and she also started to bite that is so hard to see. I know its not an excuse but she normally bite because she gets frustrated with herself but when she does I am firm and I tell her that its not nice to bite. I do think that we are getting somewhere and she understands as when she has gone to bite she will just blow raspberries now. 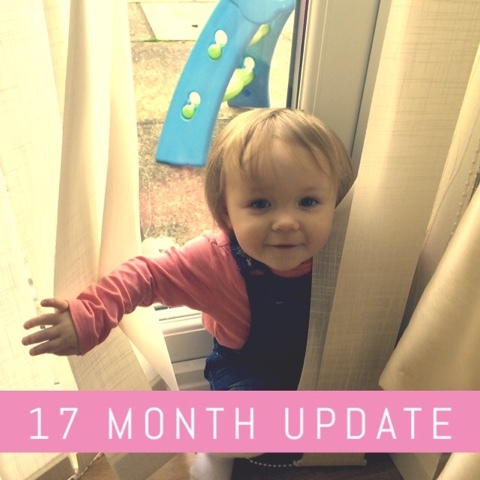 However, it's not all doom and gloom this month as she is also pretty funny and such a sweet girl who loves to look at herself in the mirror, and I love to watch her catch baby to herself in the mirror. Bedtime is still no problem but we are struggling with a nap in the afternoon, she has been refusing to go down for one for weeks now, however as soon as we hit the danger zone 4pm -6pm she can fall asleep after her dinner or on the sofa if I don't keep an eye on her. I do have to say that I really miss nap time, it would always give me a change to finish my chores and get a head start on my blogging, organise myself or take some photographs. I know that you will be off to nursery soon enough so I must enjoy that game of hide and seek that she demands everyday. I have found that she seems to like playing with toys that she wouldn't normally go for. She still loves her dolly and she goes everywhere with her and she will even try to feed her...with wooden blocks. My daughter also seems to be going through a nervous stage at the moment where some toys will freak you out and will run straight to either of us. We actually decided to buy her some talking plush In The Night Garden toys, as soon as I pressed Makke Pakka's tummy she would run and hide behind the curtain or just anywhere in general as long as Makka Pakka wasn't near you. There are some large stuffed robotic hippos that play instruments at Tesco that she hates, I have tried to encourage her to touch them but she screamed and cried. I have noticed that this month she seems to be able to entertain herrself for a short while, especially with a wooden shape sorter. Her new love of toys are also making her reluctant to want to share them with others and wanting any toys that they are holding, so this is something that we are going to work on. She is learning so many new words each day sometimes it's hard to keep up with what she is saying but it's around 20-25 words. Now I am finding that you are trying to string sentences together, well sort of. As I mentioned in the previous updates she is still climbing all over the place, even people. She will whine to get on peoples laps and then after all that fuss you will try to climb them before getting off and do find something else to do. 3 comments on "Amelia's 17 Month Update"